Last week, I caught the last showing of The Death of Stalin—a satire I’ve been wanting to see since I saw the reviews. I liked it so much that I bought the graphic novel the movie was based on immediately after I got home (and before I spent two hours on Wikipedia finding out what really happened). I hardly ever go to movies, so seeing the movie and reading the book gave me the rare opportunity to compare the two. The film The Death of Stalin is one of the most brutally funny things I’ve ever seen. I laughed a lot as the characters—the members of the central committee and various members of the Soviet public—race around in the power vacuum after the death of Joseph Stalin. Stalin had created such a sense of terrified obedience to his will that the characters have to turn constant mental somersaults to avoid being considered a traitor (and consequently shot or sent to the gulag). The movie constantly flirts with going to far. For some viewers, I’m sure it does go too far in making jokes about how easy it was to die for no reason in the Soviet Union. And yet, the actors do such a great job at overplaying their characters just enough that the whole thing has a tone of frantic farce. I really, really enjoyed it. The original graphic novel, by Fabien Nury and Thierry Robin, I did not enjoy. Perhaps it was because I had just seen and liked the movie so much, that I wasn’t ready for the more historically accurate sinister atmosphere. This version of the story shows the central committee in all their dubious and paranoid glory. In the film version, the scurrying these men do makes it easier to forget the monstrosity of their actions. 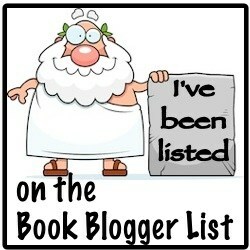 There is no forgetting in the book version. It is very clear that all of these men have committed crimes against the people they claim to be working for. One is not better than the other, although there’s a version I absolutely prefer. After all, there’s more than one right way to tell a story. From a critical standpoint, it’s fascinating to see how much tone can affect the way a reader perceives a story and how it’s little things that create that tone. In both versions of The Death of Stalin, it’s characterization that has the biggest impact on the tone. The actors in the film version deliberately chew the scenery and use their incredibly mobile faces to express panic and scheming. The faces in the book version are cruel, hard, and much less expressive. They look like monsters and it’s impossible to empathize with them at all. (Not that they deserve it. They are monsters.) Empathy made it possible for me to watch the characters scurry around in the film while I was just waiting for those characters to receive some kind of just punishment. The two versions of the story offer very different experiences. For readers who want a manic farce, I would recommend the film. For readers who want historical accuracy (if in brief), I would recommend the graphic novel. Volume I of Monstress, by Marjorie M. Liu and Sana Takeda, contains the first six issues of the chilling but beautifully drawn comic series. As such, it plunges us into the deep end of the tense ceasefire between the Arcanics and humans. But Maika Halfwolf is on a personal quest that seems likely to send both sides back to armed conflict. Just to make things more interesting, Maika also finds herself on the front lines of a mystical battle that she never expected. The first issue of Monstress opens with Maika apparently being sold to her enemies. I had no idea what was going on and I was instantly worried once Maika’s captors started to reveal what was going to happen to Maika and her fellow Arcanics. Fortunately (at least for some of them), Maika managed to achieve her goal. The problem is that she was working on her own and her bloody actions in the first issues of the series put the humans and the Arcanics back on war footing. A lot of people die in these first issues. If you’re at all squeamish, you might want to give this series a miss. Even with all the blood, Monstress is beautifully drawn. It has a steampunk art nouveau sensibility that I like a lot. The panels are so packed with detail that I had to go back to look at the background after I finished the dialog on a page. The first issues of Monstress set up a massive story. There are brief pages, narrated by a scholarly four-tailed cat, that give a bit more of the history of this world and its peoples and conflicts. They’re welcome additions because the world-building in this series is astoundingly complex. I’m hooked because I just want to know what the hell happens next and how Maika is going to get herself out of the all the trouble she just landed in. Noelle Stevenson’s Nimona is a joy to read. I laughed my way through this unusual adventure fantasy, which had enough emotional depth and action scenes to keep it from being too arch to take seriously. Nimona is a young girl with unusual abilities who shows up one day and badgers supervillain Sir Ballister Blackheart into letting her be his sidekick. The rest of the book is mostly Blackheart trying to restrain his bloodthirsty assistant as they take down the sinister, fascist Institution (who claim to be good guys). Sir Ballister used to be a good guy, until an accident with his friend Sir Goldenlion left him without an arm. Because a man with a robotic arm (and too much intelligence, let’s be honest) can’t be a hero for the Institution, he became a villain. Nimona, who has her own reasons for revenge against the Institution, signs up because she thinks she’ll finally be able to kills some people. Sir Ballister is not that kind of villain. Instead of killing people, he does everything he can to defeat the Institution without actually hurting anyone. His goodness annoys Nimona no end and her violence alarms him. In spite of their differences, they become close friends. Nimona has a naive art style that reminds me a bit of Kate Beaton’s work. The characters are snakey and have odd proportions, but it all worked for me. I’m not a stickler for realistic art, especially when the style emotes so much and can convey such a strong sense of motion in the panels. The images of Nimona blowing her stack and Sir Ballister chasing after her are just hilarious. The book follows Nimona and Sir Ballister as they face down the Institution, which is growing more evil by the day. Along the way, Nimona touches on questions of right and wrong, how far the ends justify or fail to justify the means, and what makes a monster. Because this book contains so much and tells its story in such an entertaining way, this is going to be a new go-to recommendation for me for anyone who says they like fantasy stories. It’s rare the people talk about the stage of life in which they exchange roles with their parents. This is surprising given how common it is for people to live into their eighties, nineties, or even hit the 100 year mark. In Can’t We Talk About Something More Pleasant? 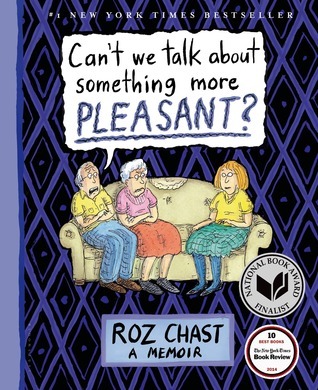 Roz Chast shares the experiences she had in her parents’ last years in her inimitable style. Chast’s story is comic and sad and frightening and very, very human. Even when they were younger, Chast’s parents were no picnic. Her father, George, was extremely anxious, becoming more so as he began to suffer from senile dementia. Caring for him meant calming him down, helping him through his confusion, and coping with his constant talking about everything that popped into his head. Her mother, Elizabeth, was an angry woman who would deliver “a blast from Chast” whenever someone had infuriated her. Elizabeth and George were completely co-dependent, Chast remarks at one point before growing angry at the pair of them for thinking it was a compliment. Chast moved out of the family apartment in the 1970s, never planning to go back. She didn’t go back until September 2001, a few days before the Towers were hit. The state of the apartment made it clear that her parents were in decline. Until the very last years of their lives, George and Elizabeth were stubbornly independent. They only grudgingly conceded to Chast and only gave in step by step to Meals on Wheels, then an assisted living facility known as The Place, then to the nursing home. I’m glad Chast wrote and illustrated this book. Its immediacy and emotional honesty filled me with empathy for her. It’s rare to read something so honest; Chast does not hide her own anger and anxiety and turmoil no matter how she might be judged by readers. I am really looking forward to discussing this book with the group. I have a deep, abiding love for silliness. When silliness is paired with history jokes, I’m over the moon. 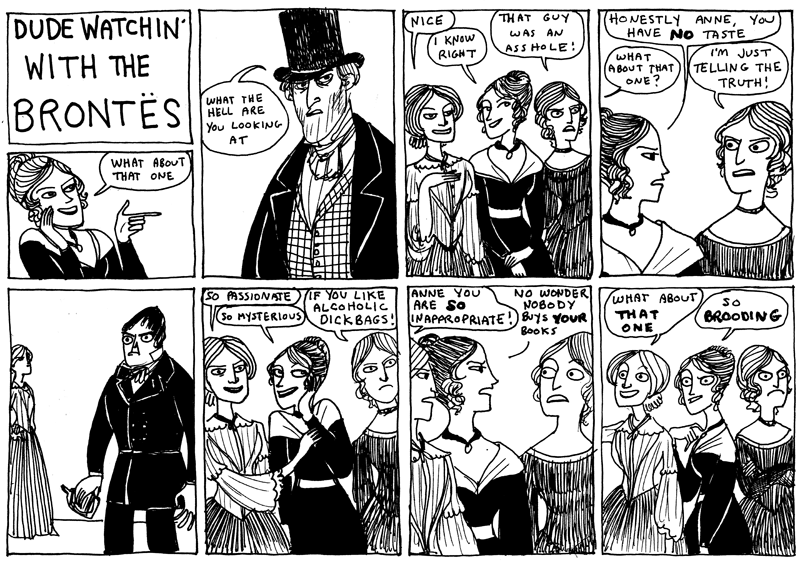 Kate Beaton, creator of Hark! A Vagrant, is, therefore, one of my favorite artists and writers. I eagerly await each installment of her webcomic. And, when I spotted a copy of Step Aside, Pops! at the bookstore, I just had to grab a copy. I was up chortling late into the night. Step Aside, Pops! 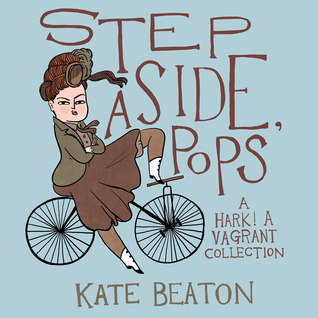 is a Beaton’s second collection of strips from Hark! A Vagrant. There is some new material here, but most of the strips have already appeared on the sight. The value of the collection comes from having so many comics on hand to dip into when one feels the need for hilarious absurdity. This collection features strips about the Black Prince, Wuthering Heights, Aleksander Pushkin, the Founding Fathers at a modern mall, Liszt and Chopin, and much more. Between the comically exaggerated drawings and writing, Beaton is a treat for any academic nerd. What if the mutants, heroes, villains, and gods we know from the Marvel Universe had popped up four hundred years earlier? The answer comes from the delightfully demented mind of Neil Gaiman in Marvel 1602. Virginia Dare sailed for England in the company of Rojhaz, a blond Native American, in 1602. Count Otto von Doom plots to take over the world from Latveria. Sir Nick Fury and Doctor Stephen Strange try to keep Queen Elizabeth safe. Carlos Javier runs a school for the children of the gentry in rural England. Blind Matthew travels across Europe with the mysterious Natasha to recover a lost Templar treasure. The Inquisition tracks down “witchbreed” along with heretics and Jews. Dinosaurs roam the North American content. Strange storms make travel unpredictable. All this plays out in just eight swift chapters. This is going to be a short review because I feel the urge to gush coming on, but this graphic novel had so many things that I love. Historical fiction blended with science fiction and the supernatural. Witty banter. Great illustrations. Historical and literary allusions. The only problem with it is that it’s too short! Once upon a time, a planet and its moon went to war. Because destroying the enemy would mean the victor would be destroyed too, the war moved to other planets. The wings and the horns and their allies have been fighting ever since. There is so much bad blood and so much is invested in the war that fighting will probably never stop. Both sides are taught to hate each other from childhood. It would take something remarkable to change the status quo. 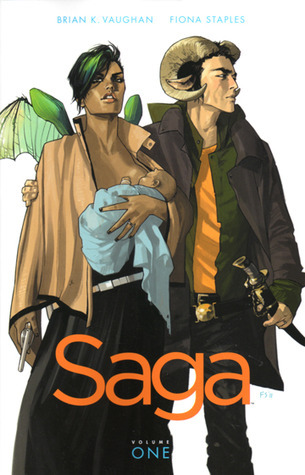 When volume I of Saga, by Brian K. Vaughn and Fiona Staples, begins, something remarkable has happened. Alana, one of the wings, is giving birth to a child conceived with Marko, one of the horns. Minutes later, soldiers storm in and try to kill them. Marko and Alana go on the run. Mercenaries are sent after them, with orders to kill them and kidnap their child. Vaughn and Staples let their story roam across worlds to introduce us to the hunters, their bosses, and the history that led us up to his point. One touch that I simply loved was that Hazel, Alana and Marko’s daughter, also acts as a narrator in this story. She hints at what will happen later and raises the stakes of the story even higher. 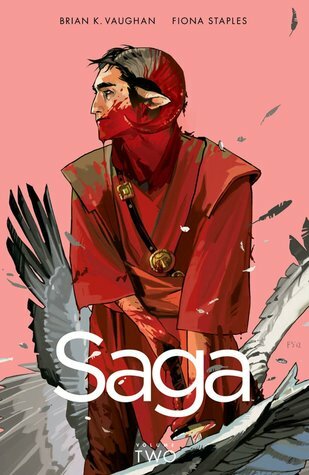 Saga is full of wonderful characters and the universe they inhabit is stunningly rich. In just the first volume there are ghosts and rocketships made of trees, monstrous spider assassins, a cat that can tell when you’re lying, magic, and sinister robots. I enjoyed volume I so much that I immediately bought volume II so I could see what happens next. In Volume II, Marko and Alana have been joined by Marko’s parents–who were somewhat shocked to find that he’d married someone they considered the enemy. Marko’s mother does not take it well. She gets even more irritated when her son rushes off to rescue their ghost babysitter. Alana and Marko are still being tracked across the galaxy, but this time another hunter has joined in: Marko’s ex-fiancee, Gwendolyn. There’s so much story packed into this volumes that trying to explain it here wouldn’t do the story justice. Besides, you need to see the artwork. Talking about images on this blog is unusual for me. But, you kind of have to when you’re reviewing a graphic novel. Fiona Staples’ artwork is beautiful and bold; the colors are vibrant. I loved that its style is understated. Staples doesn’t go for absolute realism, but each frame is incredibly detailed. The images do so much heavy lifting in Saga that I think a print only version would run to several heavy volumes to try and capture the sheer imagination at play here. I can hardly wait for volume III to come out next month.